What’s more, in 2014 a total of two papers were rejected (97% acceptance), in 2015 four papers were rejected (95% acceptance), and in 2016 19 papers were rejected (84% acceptance), and another 17 submissions have been asked to change a paper to a poster. Finally, do we see evolution of the topics that are discussed at the conferences? I processed all the abstracts I could find through Voyant to get a sense of which words are used. 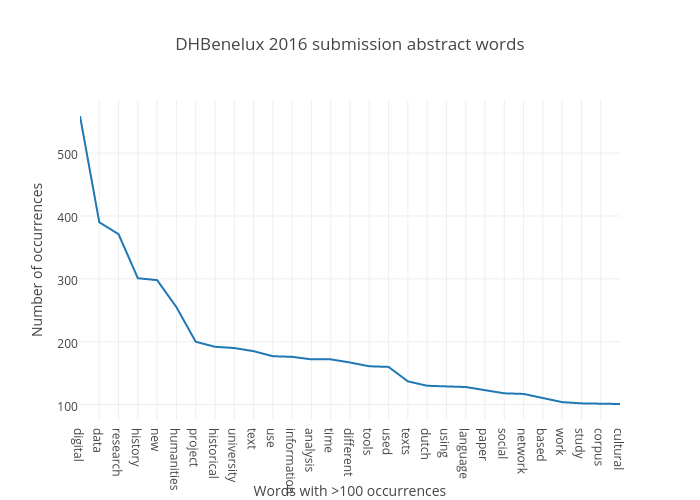 For 2016, I’ll repeat the results from the previous blogpost here for comparison: the 116 abstracts together contain 105k words, and 15.8k unique words. 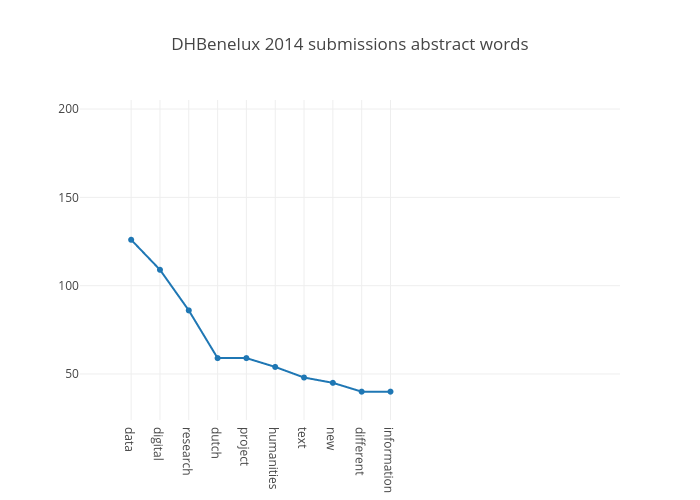 See below the chart with all words from the submission abstracts with over 100 occurrences. For all three conferences, digital remains the keyword of choice. In 2014 and 2016, Dutch is fairly common, but not so much in 2015. An interesting word that comes up with all three conferences is new. That’s it for now. 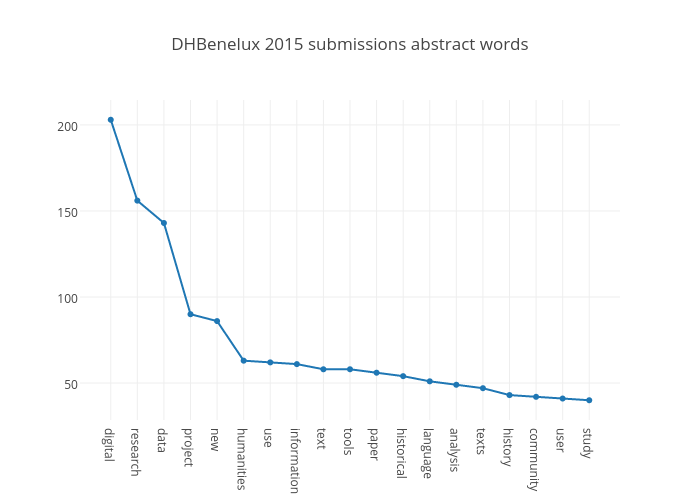 Overall we can see that DHBenelux is growing steadily, as does the global DH conference. With this the number of rejections has also increased this year, which could change the nature of the conference somewhat from a very inclusive ‘anyone is welcome to present’ to a more selective conference. 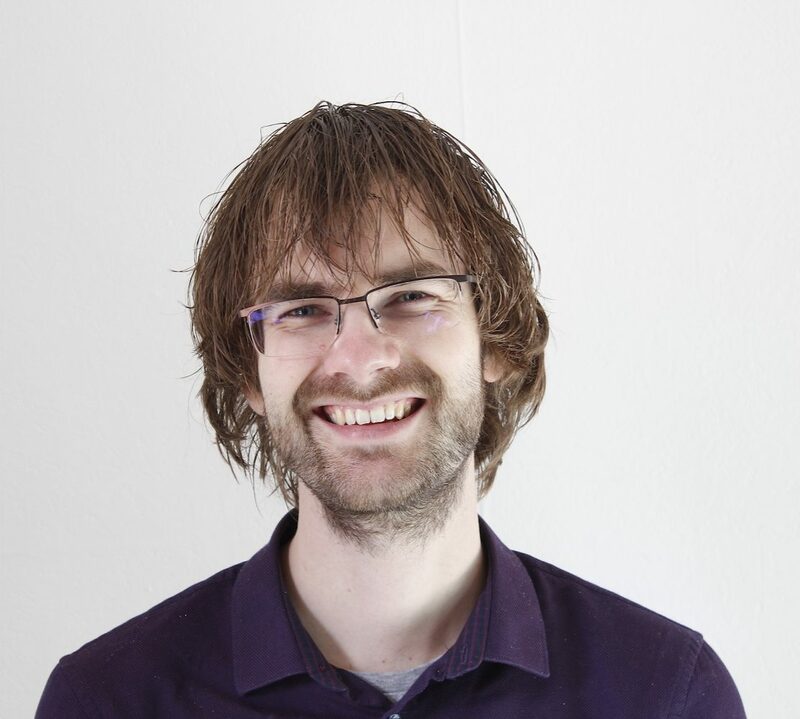 Finally, despite being called “DHBenelux”, the pool of authors is much larger than I expected, and only a small portion of each conference is from authors who also submitted to the other conferences. All this is good news, as it shows the conference is definitely not a clique of people who know one another, but actually a varied and growing community. If you want more information on the submissions, ask away in the comments.